It took them a while, but the VCU Rams were able to take care of business on Friday. The Rams got contributions from all around, as they finished with four players in double figures. Melvin Johnson finished with 19 points, but tweaked his ankle in the affair. Coach Will Wade had this to say about the injury, “No swelling, It appears to be ok, but we won’t know for another couple of hours probably. It appears like everything will be ok.” The Rams will need him if they want to make a deep run in the A10 tournament. Justin Tillman also had a solid outing, and will be playing a bigger role going forward according to Will Wade. For UMass, Trey Davis finished with 20 points and 5 boards. The Minutemen have a bright future, as they have one of the best recruiting classes in the conference coming in. 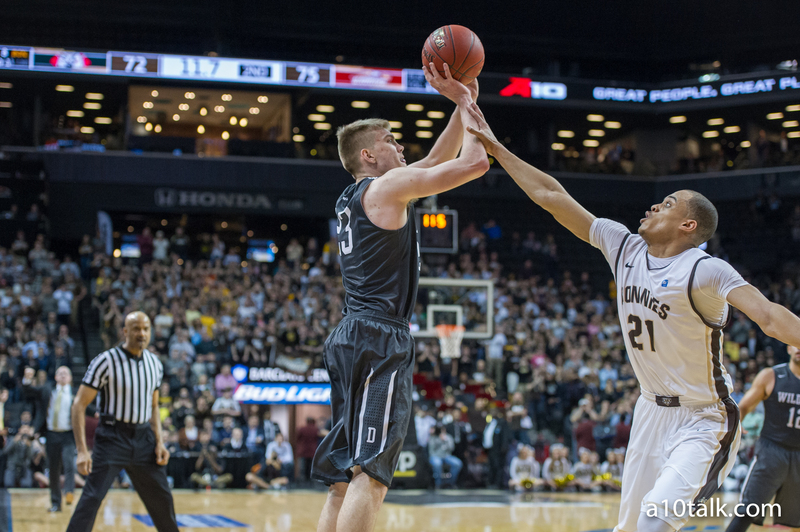 In one of the best games of the tournament, the Wildcats edged the Bonnies in OT. St. Bonaventure lead by 10 with six minutes left, but that meant little to Bob McKillop’s squad. Jack Gibbs finished with 29, and was absolutely stellar down the stretch. Davidson got a huge boost from Jordan Barham, who had 13 points and 6 boards. On Bona’s side, Dion Wight and Marcus Posley both finished with 32 points. The Bonnies couldn’t get much out of anyone else, and it led to their downfall. There is a now a big question the selection committee has to answer, are the Bonnies in? As of today, they are a 10 seed according to Joe Lunardi. They boast a very good resume, but will have to nervously wait it out til Sunday. Personally, I think the Bonnies deserve a bid.